Today's post is not about Scrapping, but this is something that I have been meaning to do for a while. This is my husbands childhood nightstand, it is beat up, gouged, and completely and naturally distressed with many childhood memories. However dispite the love, I felt it needed a little face lift. 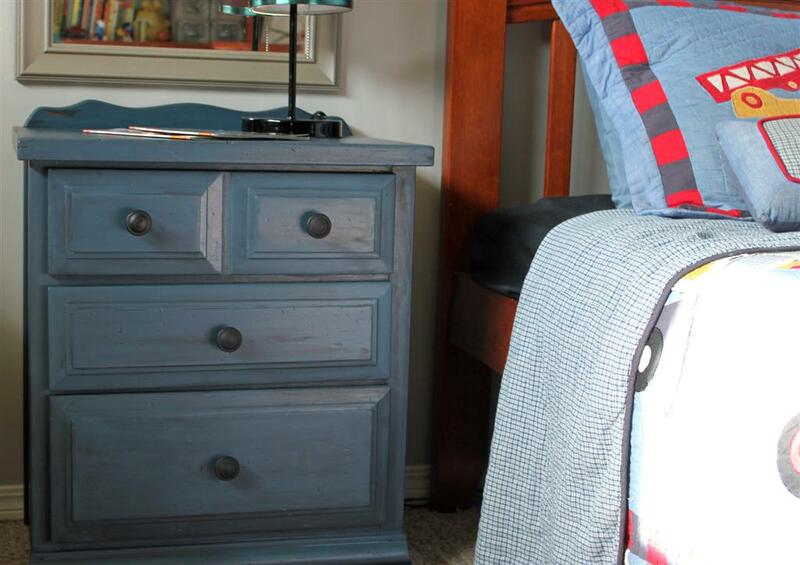 With the help of a beautiful paint color called Valley Forge Blue, some black paint , a little sanding and new knobs, I think this piece will live happily for many more years in my sons room. Happy crafting, no matter what you are up too!! this looks awesome Lydia. love that blue! what a score. gosh that looks gorgeous......how do you find the time!!! Oh love how this came out!